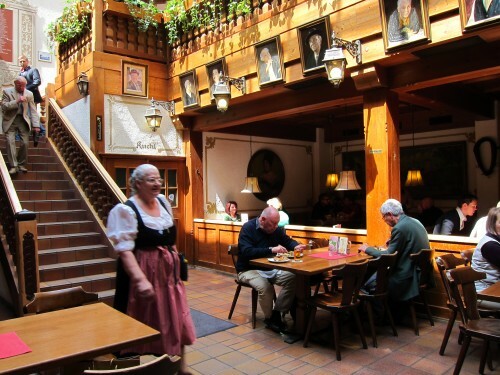 Bayerischer Donsil is one of the oldest pubs, which is located right off the famous Marienplatz in the heart of the shopping area in Munich. 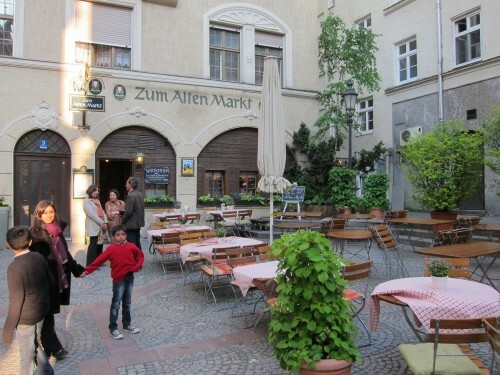 Zum Alten Markt is a small family run, cozy restaurant, that serves really good traditional fare. 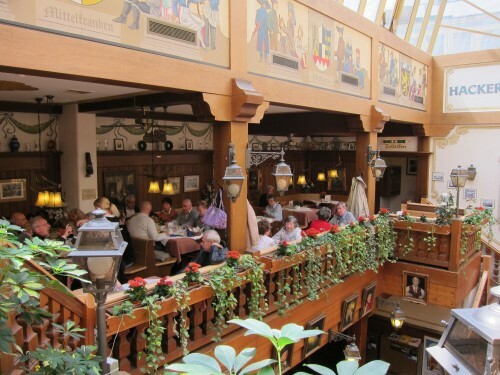 Located right behind the vibrant Viktualien Markt, Zum Alten Markt offers a welcoming break from all the hustle and bustle. 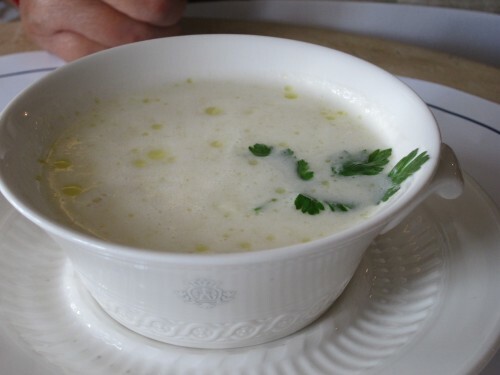 The food is great and the menu offers more variety and interest than the standard fare offered at other places. 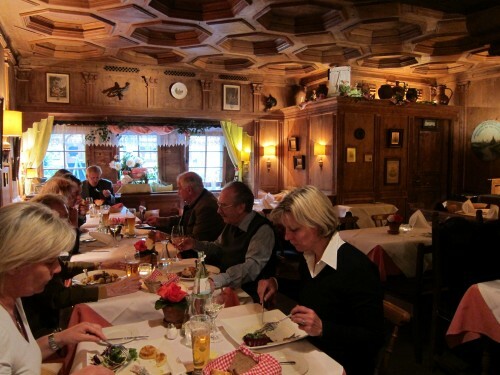 The interiors are done with , with its elaborate coffered wooden ceiling that came from a 400-year-old Tyrolean castle. 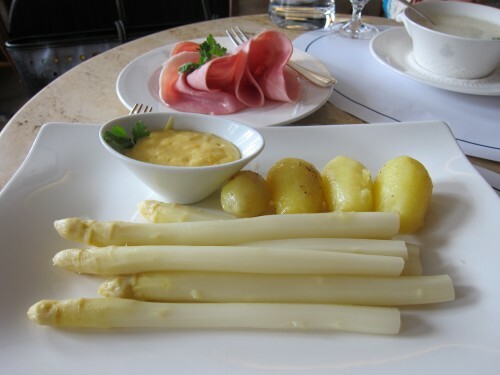 When we visited, they had an entire “Spargel” ( asparagus) menu, which is only in season in spring. Here one could choose from a variety of interesting offering such as ragouts, bakes and pies. The service is solid, the tabs are affordable. Please note that reservations are a MUST, and they do NOT take credit cards. 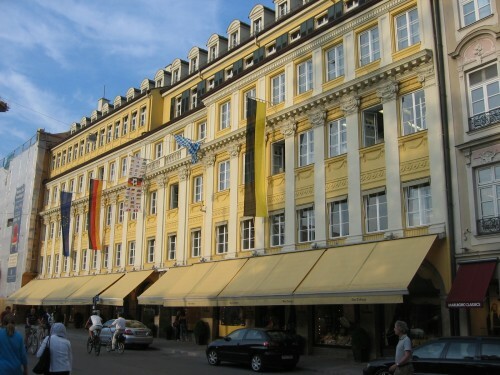 All in all Zum Alten Markt offers a really nice experience which is a cut above its neighboring rest. 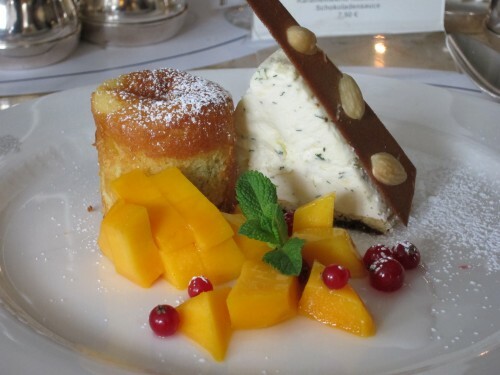 Dallmayr, is an essential stop off for any foodie. Located in the heart of Munich’s busy Marienplatz area, this gourmet food market sells everything from superb coffee, chocolates and confections, breads to incredible pastries, meats and everything in between. About 2.5 million people visit the main store every year. 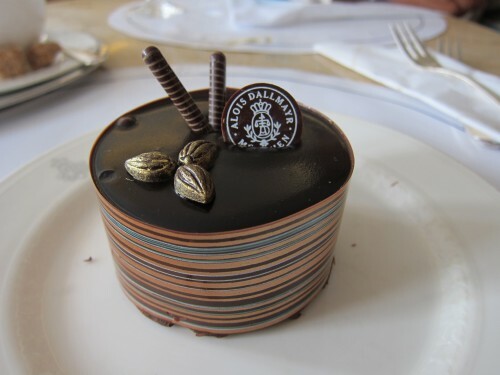 Dallmayr was established over three centuries ago when it began as a simple grocers shop. It is now a most famous for its “Prodomo” coffee brand and for top quality good that it sells. Walking through this store is a true delight as it has special nooks dedicated to all special the foods it holds. Your senses peruse through cutely decorated display cases of candies, bread, seafood and much more. There is a small section of tables located near the bread section where one can eat foods that are purchased from the store. On the top floor there is a restaurant Dallmyer where you can opt for some light bites, coffee, desserts and of course beer. 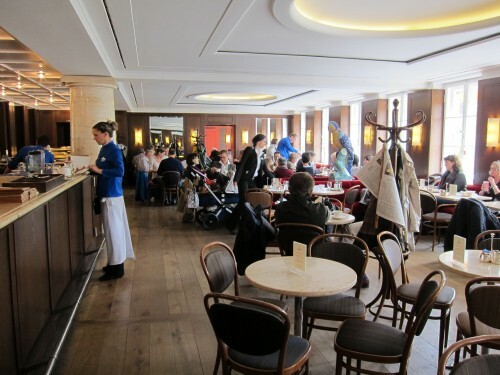 After all the feasting that one does with ones eyes at Dallmayr …it’s only a mater of time where you need a spot like this to satisfy your cravings.